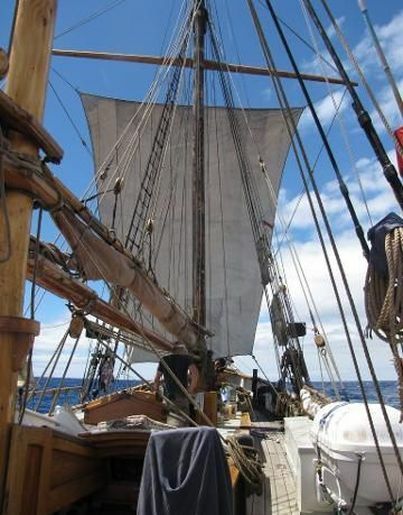 Join us on a leisurely two hour cruise in this custom designed vessel. It has been built specifically to explore the shallow waters of the extensive Egg Islands wetland reserve. The highlight for bird watchers might be a chance spotting of the Australasian Bittern. Book online using the "Book This Cruise Now" button below or call us from 9am to 7pm, 7 days on 1800 770 224. 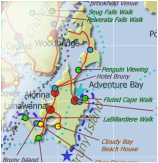 Daily Sail Trips on the calm water of the Huon River. 90 minutes cruise costs $50.00 per person. Included is a light snack, or you can purchase fine local wines. To book this cruise as part of a larger itinerary, use the "Book this product as part of an itinerary" button or phone us from 8am to 8pm on 1800 770 224. 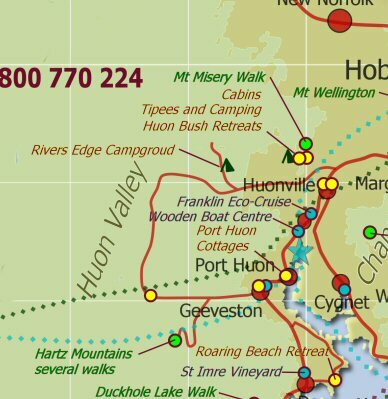 Port Huon Cottages provides quality self-contained accommodation in the centre of Tasmania's Huon Valley on the Huon Trail touring route. We can offer guests a choice from nine one and two bedroom cottages - including the luxury spa cottage. 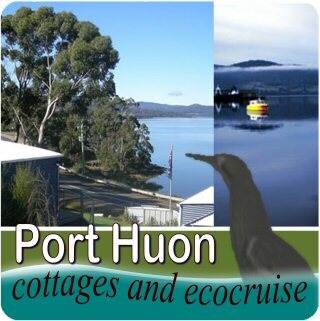 All accommodation at Port Huon Cottages is designed around spectacular views over Port Huon Bay and the Hartz Mountains. 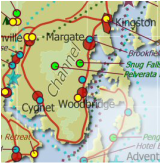 The cottages are totally self contained, private, all with verandahs and water views, off street parking and modern facilities. There is an outside barbeque and entertainment area for each cottage. Set in an extensive private nature reserve near Huonville in the Huon Valley, Tasmania. This award winning, carbon positive eco-village, offers a choice of contemporary, self contained cabins, deluxe tipees and private campsites against an inspiring backdrop of Tasmanian native forest. 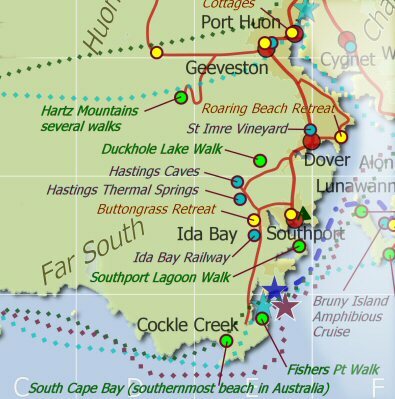 We offer a true retreat in a peaceful and secluded environment with a 5km bush walking track network, an abundance of wildlife on your doorstep and a sample of the fine food and wine of the Huon Trail region.